CineBrew is our newest offering featuring screenings at local breweries. Join us at our next CineBrew. 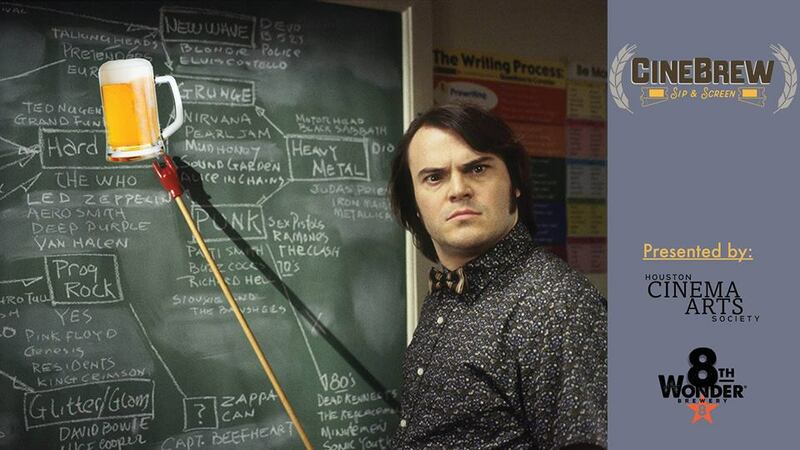 Join us for a fun evening full of beer and film as we partner with 8th Wonder Brewery to present Richard Linklater’s hilarious 2003 comedy, “School of Rock”, featuring Jack Black. Special brews, merchandise, and memberships will be available! Local, Houstonian short films will start at 7:30 PM before the movie, which will be screened at 8:00 PM.